Pascale Pollier, Confronting Mortality, mixed media, life size, 2007. Model portrays a man contemplating his own mortality. -was created for the exhibition held at the conference “Confronting Mortality with Art & Science." BIO: An alchemist at heart, her work begins with observation and experimentation but is however steeped in solid scientific research and findings. 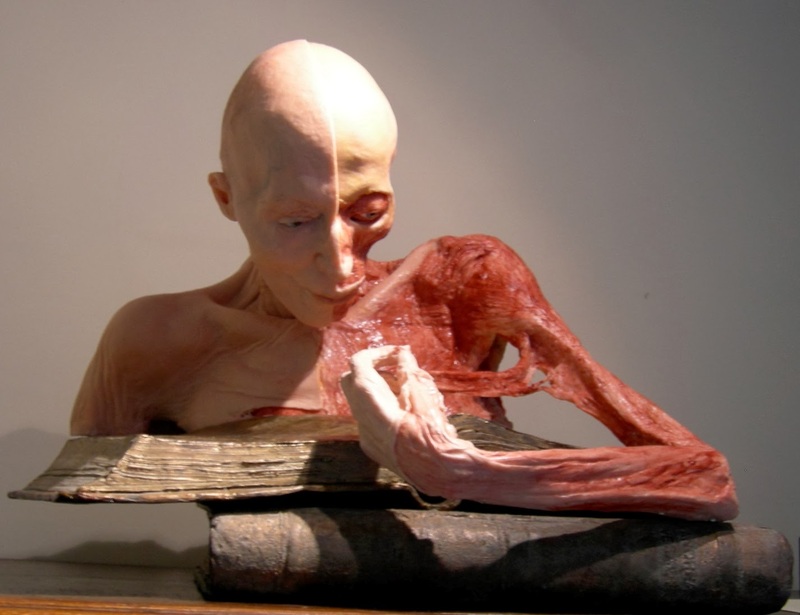 Pollier is a biomedical artist, who is interested in the melding of art and science. -Pascale has exhibited throughout Belgium, London and USA. Achieved winner at The Ronald Raven Barber's Award in 1998. Since then she has worked within many medical and art positions. Her research has resulted in films and in 2007 was the author of the book 'Confronting Mortality with Art and Science'. Artist overall statement: “ Life and nature in all its beauty and strength, fragility and disease, mortality and death – all this and more is what inspires me"
Why I chose this artist: It's the complexity of her sculptures that stood out to me; the specific detail she puts into them makes them look, accurate and realistic (pretty awesome). & i like how she portrays her art "allowing us to feel the body through seeing it"